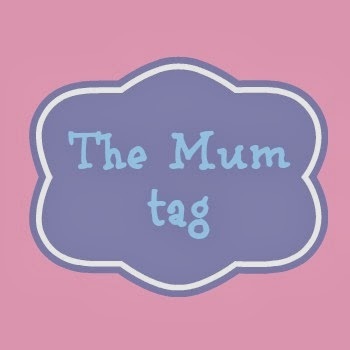 I've been tagged in 'The Mum tag' by the lovely Emma over at Life According To Mrs Shilts. 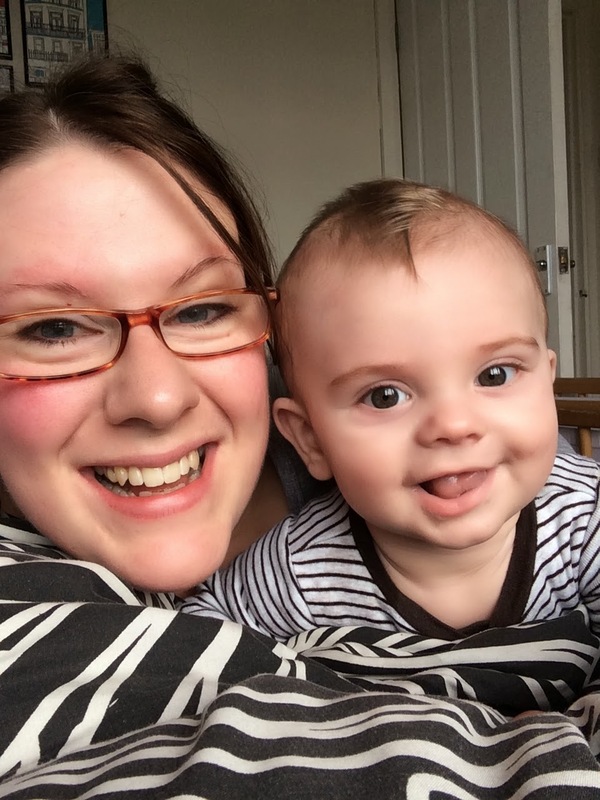 So, here are my answers to the questions all about life as a Mummy to Bert. I'm a stay at home mum at the moment, as I'm still on maternity leave. The thought of going to work and leaving my little man makes me feel sick at the moment, so I have ultimate respect for any working mums out there - it must be so hard! No way. I absolutely adore being at home with Bert all day - we fill our days with a lovely balance of getting out and about, seeing friends and family, doing a few necessary jobs, lots of playing, and mostly cuddles! No. If I'm honest it frightens me. 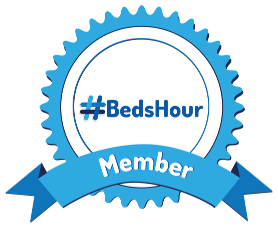 I've read so many horror stories and health warnings about co-sleeping and suffocation etc - although I absolutely love snuggling up with Bert in bed I am always wary and on edge - so I wouldn't sleep at all well. Saying that, we have co-slept for portions of the night on a few occasions (teething, illness etc) where I've known he won't sleep at all unless he's with me. Needless to say I barely slept on those nights. We're sticking with a swinging crib right next to my side of the bed. I can see him as soon as I lift my head, and can reach out and touch him without getting up - that seems to work best for our little family. The bouncy chair! It is a god send. When he was tiny it was fab to pop him in knowing he was safe and comfortable. We have a vibrating one which he loved and helped get him off to sleep. Now its a great place to pop him if I need him to stay put for 2 minutes - he is now crawling, staying put is no longer something he can do - so the bouncy chair is a life saver for that. My little rascal in his bouncy chair! 6. Date night? How many per month? 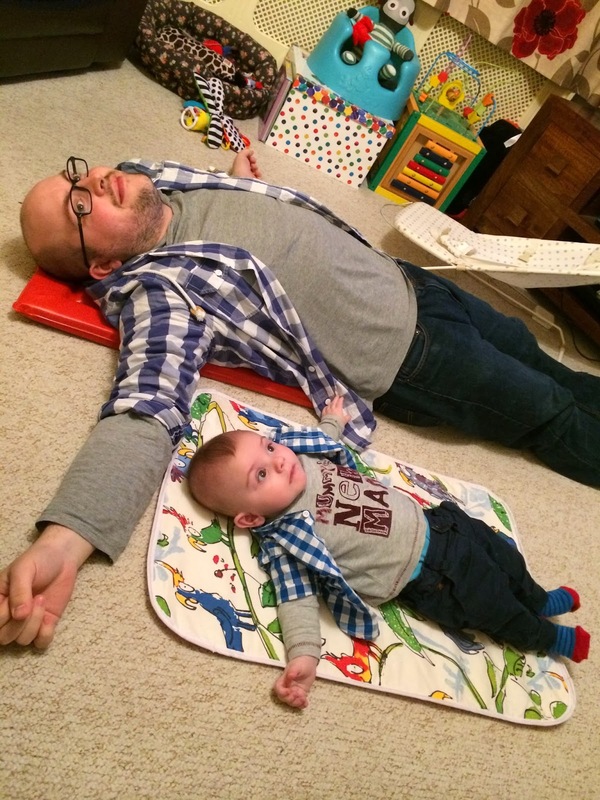 Since having Bert, Liam and I have made a conscious effort to make sure we have some grown up time together -I'd love to say it is once a month - but maybe that isn't quite realistic - sometimes it is twice a month, and then we might go some months with none at all. We've been so lucky to have recently won two hotel stays - one in Kensington, and one in Brighton - which meant we had two blissful escapes just the two us. I have to say its always lovely to get home to Bert though - I miss him so much even just for a few hours. We also love going to the theatre and cinema - we've managed a few trips since Bert's arrival thanks to lovely friends and family stepping in to babysit. I think it is so important to get the balance right and make time to be grown ups as well as just 'mum & dad'. We never manage to be that grown up! He doesn't really watch any children's TV yet (is that mean of me?) We watched Beauty & The Beast together when he was two weeks old (he slept through most of it, does that count?) Apparently he was glued to Bob the Builder at his Nanny Seaside's house last week - so maybe he'll be a Bob fan! On that note - I'm not a huge fan of current children's TV (I was subjected to lots of it in my job as a Drama Specialist for children with severe special needs) so I decided I'd go out and buy DVDs of all the classic children's shows I loved from my own childhood such as Rugrats and The Raggy Dolls. That reminds me - I must get a few more for the collection - I'd love to get The Racoons, The Moomins, and Arthur. A breast pump - luckily I had the receipt and was able to take it back to John Lewis, as it wasn't cheap (around £45). It was a real shame I wasn't able to breast feed Bert - with hindsight, it actually was the best thing for me in the long run - and Bert seems super happy and healthy on formula - still, it would have been nice, and cheaper to have been able to feed him myself. Farley's Rusks! He blooming LOVES them - he currently has them mushed up with previously boiled water, or his baby milk - and I'm sure he'll soon love munching on one as a biscuit - especially as he now has two teeth!! Bert loves rusks. 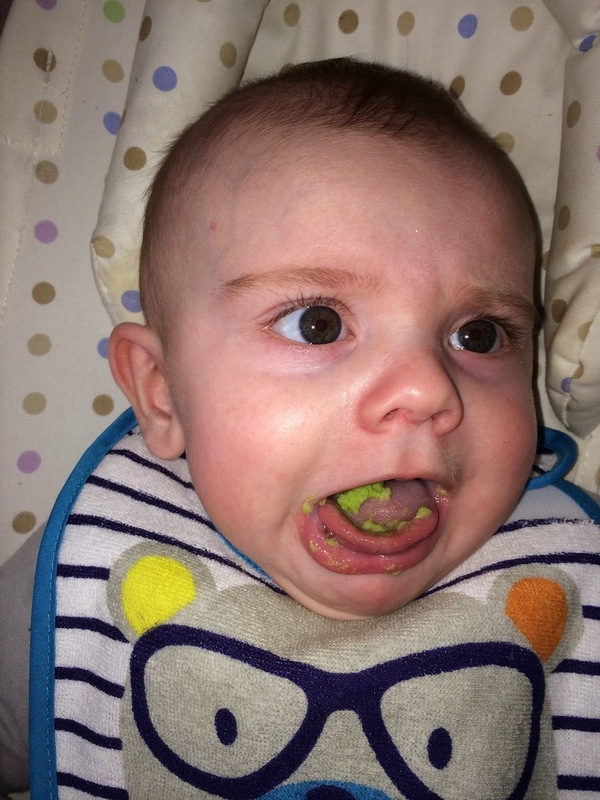 He does not like Brussel Sprouts. 10. How many cars do your family have? We have one car. A Suzuki Liana GLX - its maroon and I love it! It is a really great practical family car with a lovely big boot, and I think I love it so much because of the freedom it has given us. Saying that - I don't drive, only my husband Liam does, and he's only been driving for a year - so its all pretty new for us. It's great for the weekends though, and for going home to Surrey to see my family. 11. Weight before, during and after pregnancy and now? Always an interesting one for me. 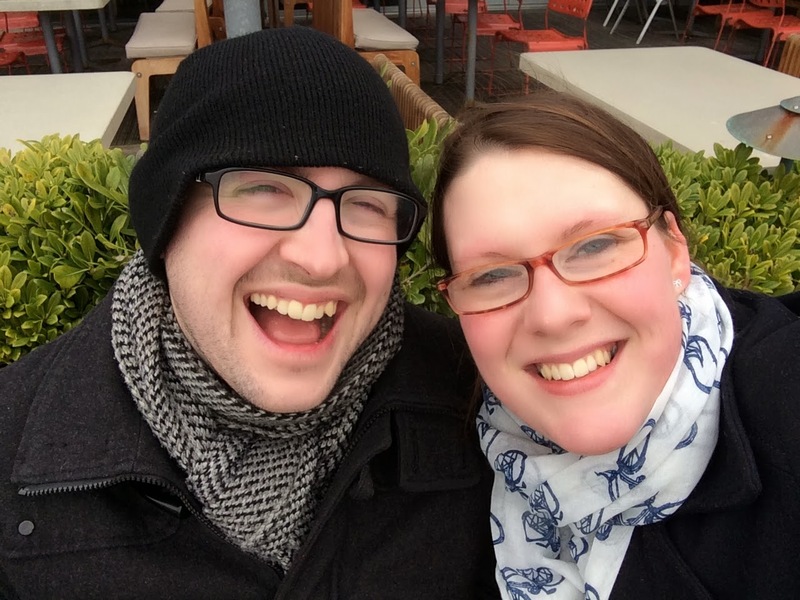 So, I was pushing a size 20 3 years ago, and managed to lose 4 stone and get down to a small size 16 for my wedding day in August 2012. Then I suffered a miscarriage on my honeymoon, and quickly put on a stone (feeding my misery, I tend to turn to food as my comfort). 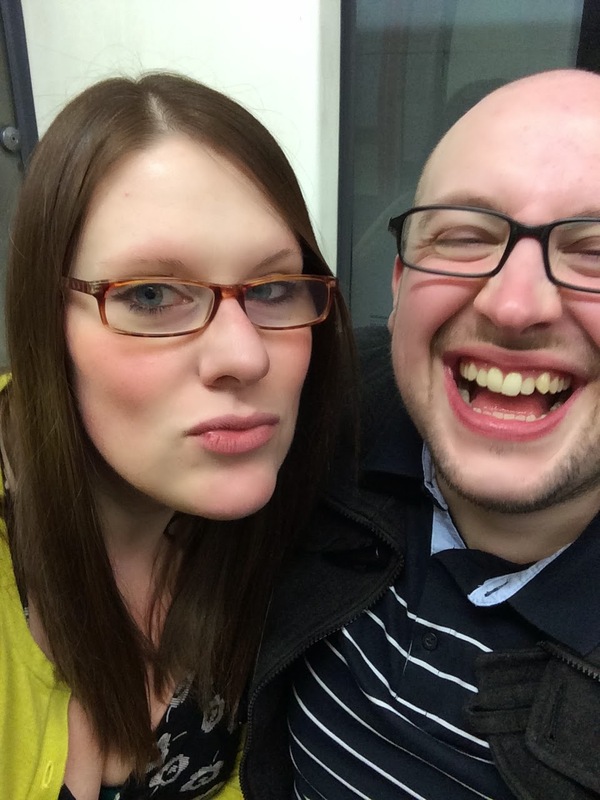 I fell pregnant with Bert in the November of 2012, and put on 3 stone during the pregnancy - and so got back to my biggest weight (and felt rubbish for it). 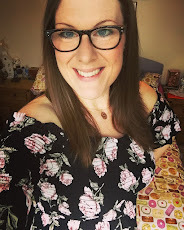 Since having Bert I have worked really hard to shift the baby weight, and am pleased to say I'm just two pounds away from my pre-pregnancy weight and back into all my size 16 clothes. Once I get this next two pounds off (hopefully in the next week or so) I'll be so happy as every subsequent loss from there will be a bonus. 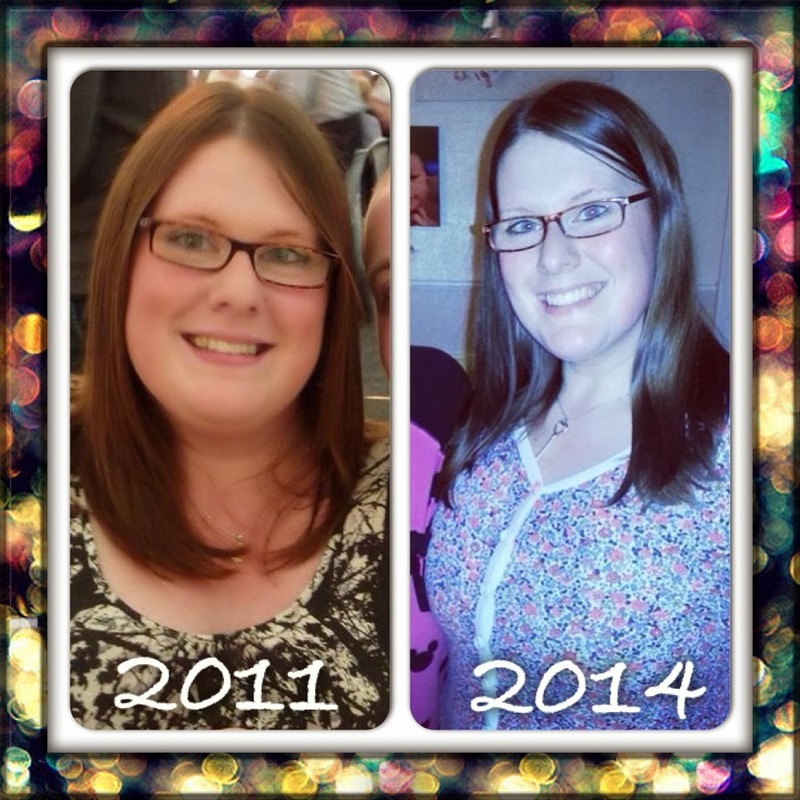 Ideally I'd love to lose a further two stone over the next year or so… so watch this space. The year before my wedding, and about a month ago - getting there! DisneyWorld in America - definitely. I've been to DisneyLand Paris when I was about 16 and absolutely fell in love with it. We've sort made an unofficial plan to go with our best friends Danni & Charlie in the future when they have kids too - it would be super magical - and definitely a once in a life time trip worth saving up for! Liam and I are desperate to go to New York - do all the touristy stuff, and mainly just eat eat eat - we'd love to do a Man vs Food style trip and work our way round all the awesome diners, restaurants and food-challenges! Haha! 14. 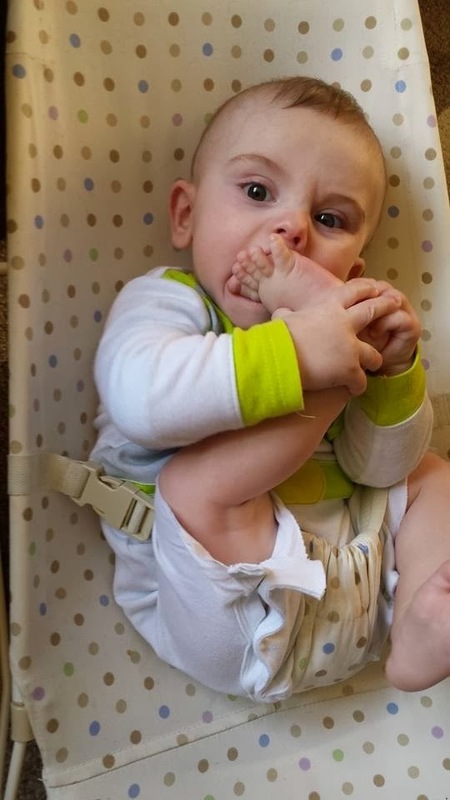 How has your life changed since having babies? Irrevocably. Definitely for the better. 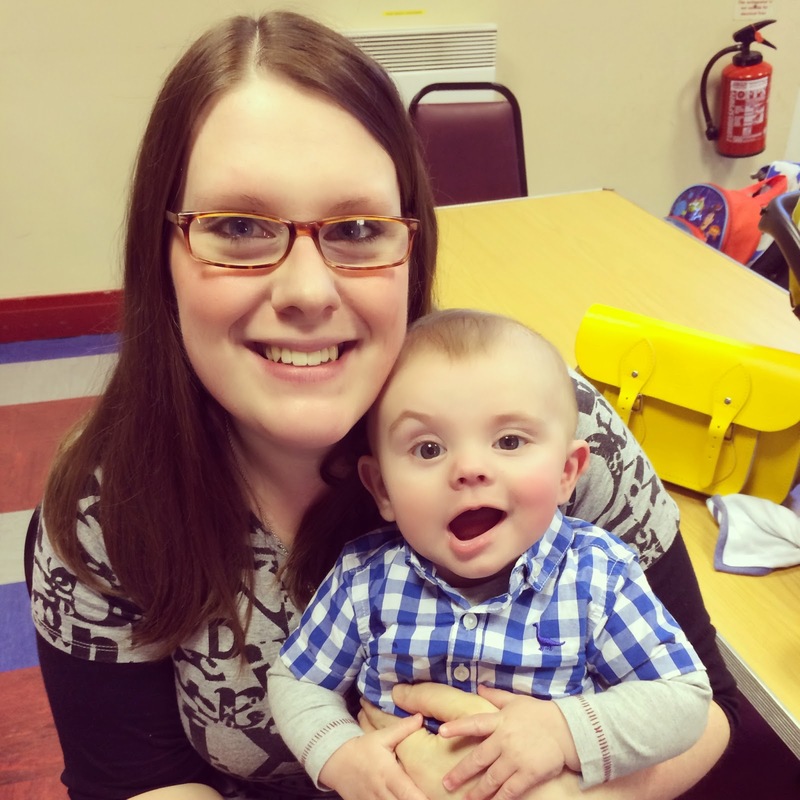 I feel stronger because of Bert - because of all I had to cope with in the pregnancy and the birth, and because ultimately, I am responsible for him - I am officially the 'grown-up'. I feel a huge sense of achievement, and a stronger sense of belonging and 'home' now he is with us. Being Bert's mum is definitely the best thing that's ever happened to me (joint with meeting my hubby - without that Bert wouldn't be here after all). first thing in the morning silliness! Liam and Bert having their special father and son moments together. There is something so magical about seeing the two people you love most in the world having that 'moment' together. 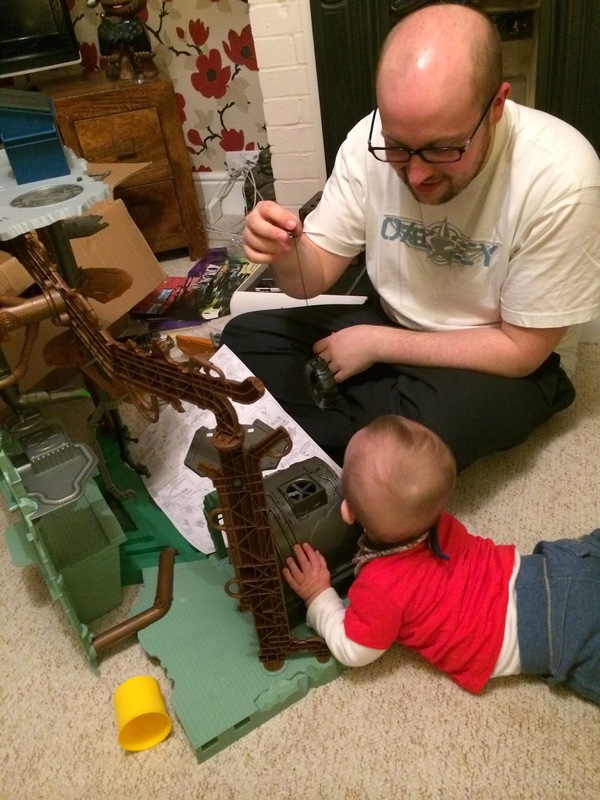 building a Teenage Mutant Hero Turtles play set together! We have been amazingly lucky in that we haven't had to buy very much in terms of clothes for Bert as my awesome cousin Michelle has passed on all of the beautiful clothes she had for her son Paris who was born 1 year and 1 month before Bert. Luckily all his clothes are the right season for Bert - so he looks super-trendy in his cousins togs! The few bits we have bought for him have been from Next, Debenhams, Cath Kidston and Joules. 17. Favourite make up and skin care products? I'm not brilliant with skincare regimes and make up - I don't seem to get much time for it if I'm honest. I wear make up when I go 'out, out' - but day to day I just stick to my routine of a little moisturiser, some lip butter and a smidgen of pencil eye liner and mascara. I use Maybeline Matte Mousse foundation and cream blusher when I do a full face of make up. My favourite skincare products (when I'm bought them as gifts as I can't afford them) are Clarins' Beauty Flash Balm, and Dermalogica's Microfoliant - both amazing products. I probably take the most care of my finger nails - as I used to bite them terribly as a teenager, and now have lovely long nails that I regularly manicure, and use Solar Oil moisturiser daily - I swear by it. Pampers - we swear by Pampers nappies - we've tried most own brands and found them to be leaky & unreliable, Pampers have always come up trumps for us. My hubby HATES Huggies wipes as he says they're impossible to get out of the packet - I like how thick they are though, and I seem to manage to get them out! Lol. I went through a stage as a teenager saying that I didn't want to have kids - but in all honesty I think I was just scared by the prospect of settling down and being a 'good girl'. Once I'd got all that out of my system I was like 'Kids?….Bring It On!!'. The unconditional overwhelming love you feel that you never knew you had inside you. 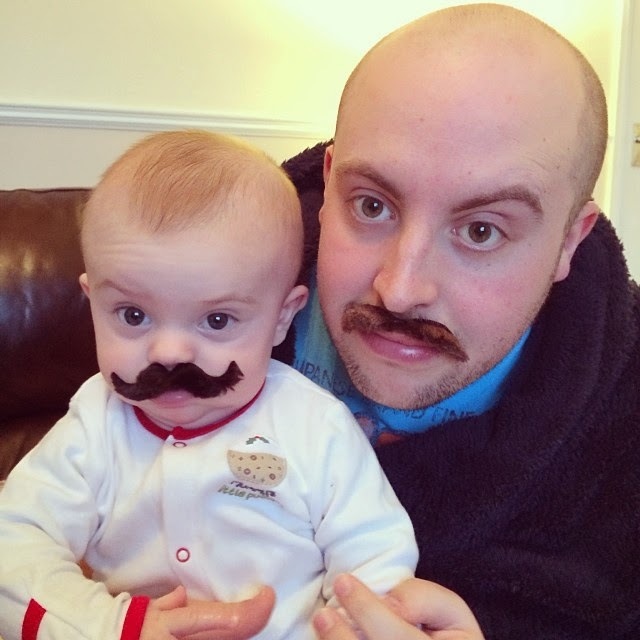 I also love seeing the little parts of me and my husband in Bert as he grows and develops - I suddenly get a glimpse of myself or Liam and think 'wow!'. 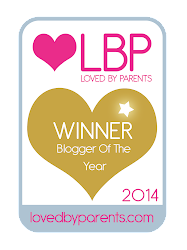 I now tag the lovely Anwyn over at It's A Rowberry Life, and the gorgeous Rhia over at Virtual Rhiality. Can't wait to hear what you girlies have to say!